We have carefully budgeted our Classic Pilgrimages for families, couples and single travelers so that they can experience the unique qualities of Inside the Vatican Pilgrimages at our most affordable price, without sacrificing Inside the Vatican integrity and style. This pilgrimage is limited to 25 pilgrims to keep the pilgrimage as intimate as possible.To learn more about our Classic Pilgrimages click on the button below. 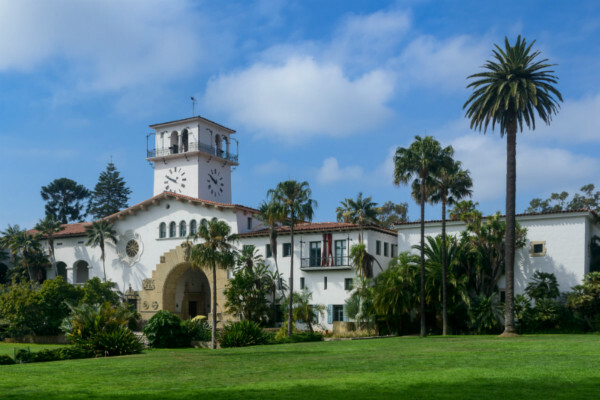 Join us on our Classic California Missions Pilgrimage to experience the beauty of the California coastline, and tour the missions churches of the early Spanish missionaries at the most affordable cost we have to offer! When the Spanish discovered America, they were in search of wealth and empire, but one of their goals was spiritual: to win souls for Christ. One center of these efforts was the coast of California. 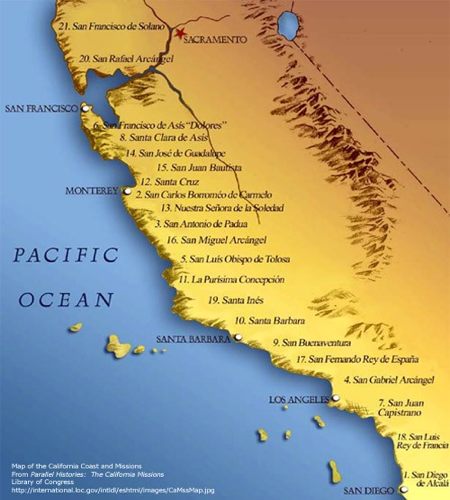 Over 54 years, between 1769 and 1823, a number of Franciscan friars, led by St. Junipero Serra, founded 21 Spanish missions along 600 miles of the California coast, from San Diego to Carmel. These missions were churches where Mass and the other sacraments were celebrated, but they were also centers of technology and learning where European skills, such as agriculture and animal husbandry, were taught to the indigenous population, which greatly enhanced aspects of their lives. Many of these missions are still active churches today. During our California Missions Pilgrimage, we will tour 8 of the 21 Spanish missions. Our journey back in time to the late 1700s and early 1800s will traverse 600 miles in a series of short drives, generally less than an hour each, along the spectacular California coastline. As pilgrims, our journey will weave our inner and outer being into a spiritual fabric of presence, attention and response… The presence of God in sacred spaces and in the breathtakingly beautiful landscape and seascape of the California coastline… Attention to those who went before us in prayer and labor, to those who live and work in the California Missions today, and to those who will come after us in coming generations… Daily we will “break bread” together and walk amid God’s beautiful creations, sharing ourselves, our stories, weaving our individual threads into a richly-hued tapestry. This pilgrimage, with these pilgrims, will be unique, never to be repeated. Full Payment – required 60 days prior to departure date, January 15, 2020. Number of Pilgrims – limited to 25 pilgrims to allow for a peaceful and personal experience. A minimum of 15 pilgrims is required for this pilgrimage to proceed. Robert Moynihan, editor-in-chief of Inside the Vatican magazine, and Deborah Tomlinson, COO of Inside the Vatican magazine, will greet you at the Porto Vista Hotel and will accompany your group for the entire pilgrimage.